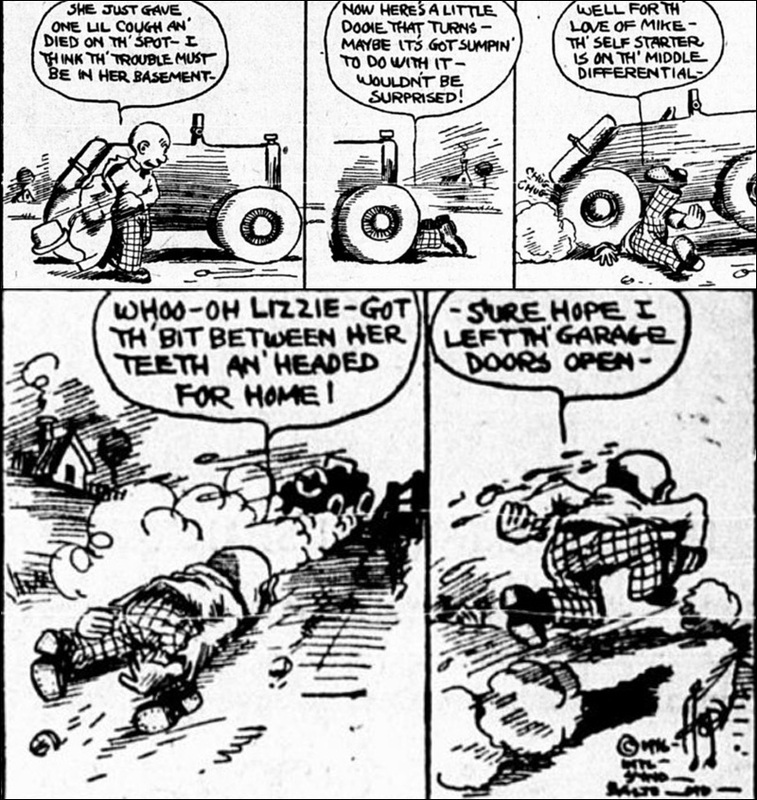 The vagaries of automobile maintenance were dependable comic fodder for any cartoonist. Gasoline Alley hadn't started up yet, and the field was wide open. The fourth panel may be the most artistically interesting Hop did so far. You'll also note that whatever the time of year, chimneys are smoking.